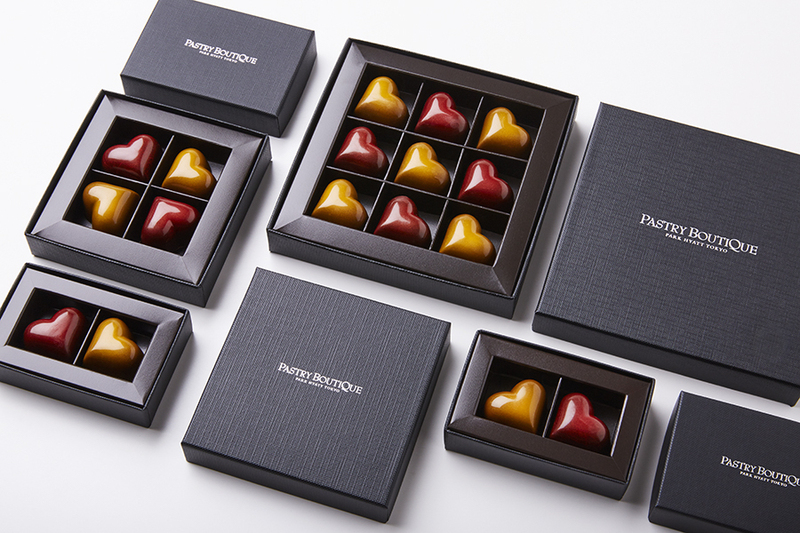 Park Hyatt Tokyo has unveiled its lineup of Valentine and White Day chocolates and sweets from the Pastry Boutique. Present any one of these romantic creations from the selection below to your loved one this coming Valentine’s and White Day. 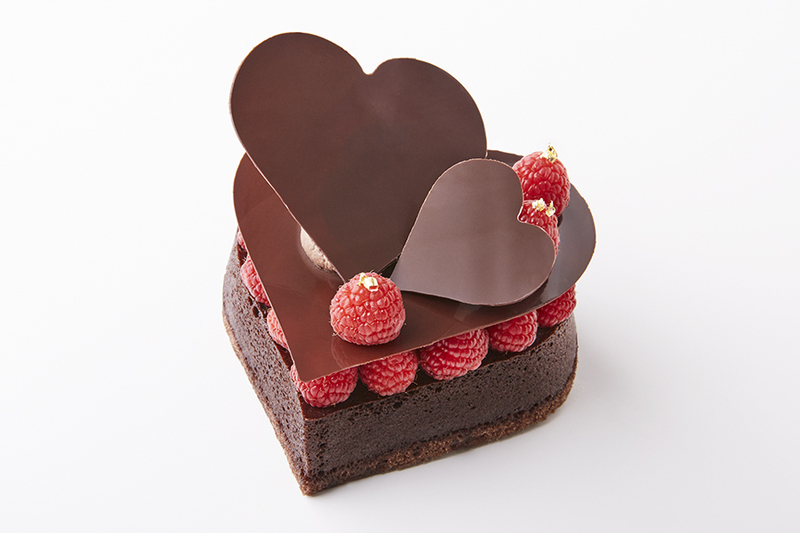 A rich, velvety chocolate cream spread over a light, heart-shaped chocolate sponge cake, topped with fresh raspberries. The two flavor combinations of decadent chocolate and sweet and sour berries complement one another perfectly and can be paired with whisky or brandy. This will be available until Feb 14. A strawberry flavored chocolate mousse cake with a strawberry compote center over a yuzu accented pain de gênes. 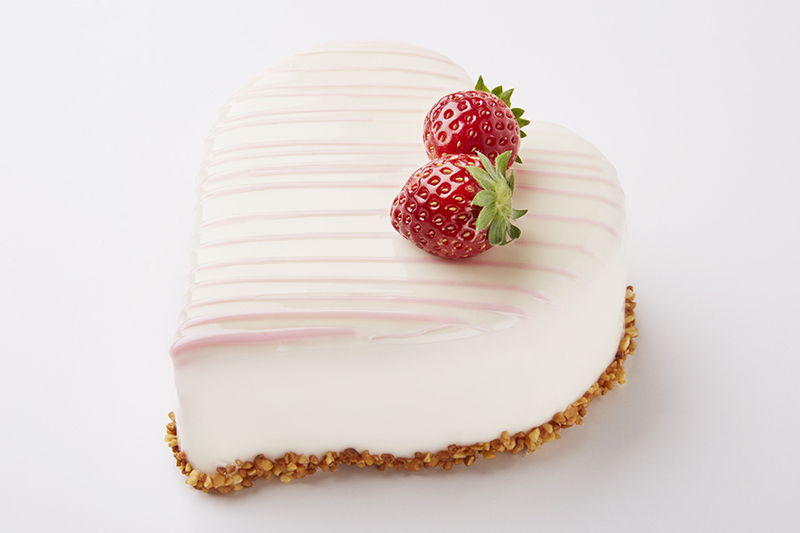 Enjoy this flavorful, romantic dessert with your loved one. A yuzu flavored fluffy sponge cake topped with a layer of passionfruit cream blended with sour cream and mascarpone cheese and topped with fresh raspberries. Savor the different citrus flavor accents in this light and refreshing dessert. This will be available from March 1. 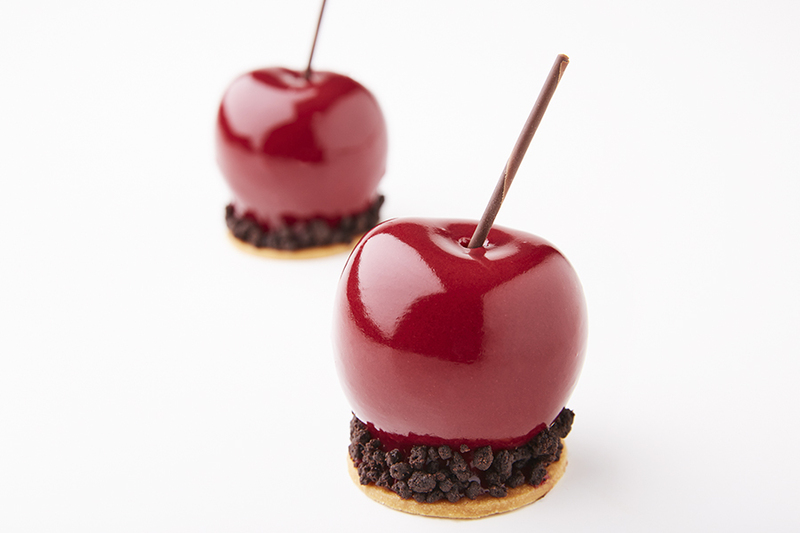 A cherry shaped creation filled with chocolate mousse and cherry compote. The kirsch adds depth to the flavor of this playful treat and is bound to be a Valentine favorite. An assortment of 2 different flavored heart-shaped chocolates. The red heart is a dark chocolate filled with cherry gelée and ganache, and the yellow heart is a milk chocolate with a passionfruit and banana center. A guaranteed favorite chocolate gift to present to a loved one. This year’s special Valentine’s Day bar is made from dark chocolate with a griotte cherry gelée center. 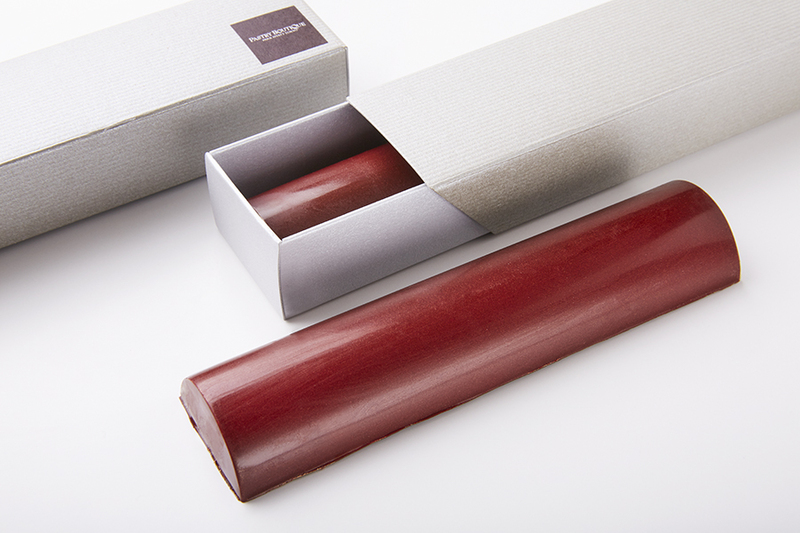 This simple and sleek designed chocolate bar will make an elegant gift for any occasion. Period: From Friday, Feb 1 to Thursday, March 14. *The Raspberry Chocolate Cake will be not be available for purchase after Thursday, Feb 14. 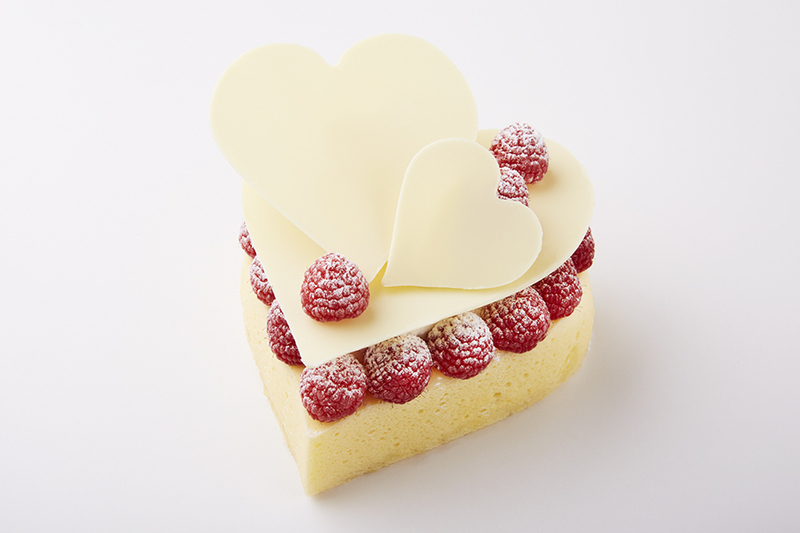 *The White Yuzu Cake will be available for purchase from Friday, March 1. *Please note that only the Valentine Hearts chocolate box and Cherry Chocolate Bar are available for delivery services. For reservations and inquiries, please contact Pastry Boutique, (2/F): 03-5323-3462. Operational hours: 11 a.m. to 7 p.m.